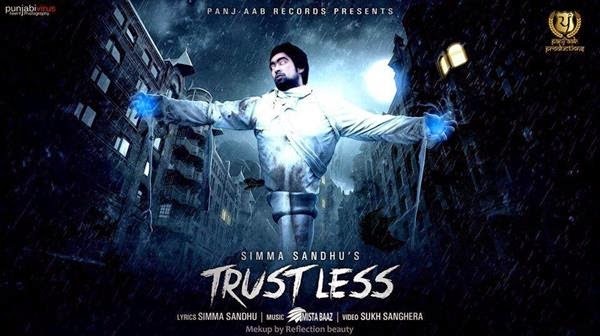 Trustless Ft Simma Sandhu - Best Horrific Creation by Sukh Sanghera,There is something different in the video this time, Something visually delighting plus horrifying sound that will shudder you. Sukh Sanghera, Punjabi Model turned Video Director is known for his Quality work, dropped music video to Trustless featuring vocals of newcomer Simma Sandhu. Music of the song is produced by Mista Baaz. Check out the teaser of Trustless, It is simply Speechless!